It’s a good time to be in the mobile payments industry. First there’s the new study by Visa that points to a growing demand for biometric technology and implies that smartphones are becoming people’s go to method of payment. Then there’s a new FIS partnership that sees iPhones replacing plastic cards with customers being able to withdraw cash using just their Touch ID fingerprint. Elsewhere in the newsletter, we sit down for a Q&A with the head of growth for Stripe Nordics, Sebastian Fuchs, who previously co-founded SUP46, one of Europe’s most prominent startup hubs. We talk about his move to Stripe, fintech in the Nordics and payments trends in the region. To round the newsletter off, there’s good news for fintech startups as Spanish banking giant Santander earmarks a fresh $100m to invest in innovative financial tech companies. We sat down with the head of growth for Stripe Nordics, Sebastian Fuchs, co-founder of Stockholm startup hub SUP46 to talk about his move to Stripe, fintech in the Nordics and payments trends in the region. Santander Innoventures raises fresh $100m fund to invest in fintech startups. 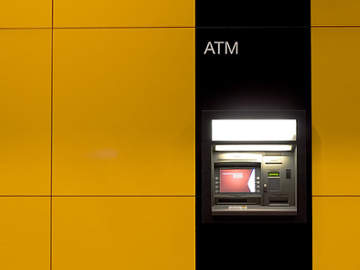 Plastic cards are no longer needed for ATM cash withdrawals as FIS has partnered with Payments Alliance International (PAI), America’s largest, privately-held provider of ATM processing and maintenance services, to bring mobile cash withdrawal to 70,000 ATM locations.